In the past, an average home was surrounded by nature. However, the world has undergone major change, and tens of millions of trees have been cut down. Modern homes don’t come with enough green in them, which is why many people wish to change them. In today’s environment, most people find that their home is boxed in by large, rigid structures, which are completely artificial. While there are many exceptions, it’s very difficult for most people to remember what it was like to live alongside nature. If you’re wondering how to make your home more green, you’ll be happy to learn that there are four simple ways to add a touch of green to your home. When looking for ways to add a touch of green, most people would never think to add a wreath. However, adding a succulent wreath to a home serves as an excellent touch of green. The best part is that it doesn’t require significant investments in time and effort. Most people choose to make their own wreath because they have the power to customize it and make it suitable for their existing décor. A typical wreath can be made from virtually any materials, and it can be hung virtually anywhere in a home. Most people choose to make a wreath out of succulents, but any materials can be used for the project. A wreath is a simple project, and it can be made to be filled with beautiful textures and colors. The kitchen is one of the best places to hang a wreath. When looking for a way to add a touch of green, most people wouldn’t think of a terrarium. 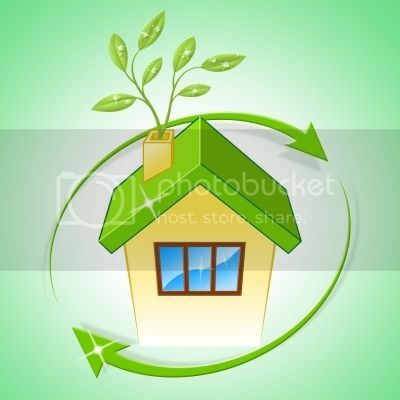 However, it’s a simple project, and it can give a home a greener feel. A lot of people make a terrarium for their plants. Before starting the project, you will need some supplies. Most people like to make terrariums out of rocks, plants, cactus soil, horticultural charcoal and a container. It’s very important that a glass container is used because it provides the transparency needed to achieve the green effect. A miniature tin garden can be a great way to give your home a greener feel. It lets you bring a bit of nature into your home. You need pliers, faux wood contact paper, rocks, dried flowers, sand and a glue gun. You might also want to have some dried moss and scissors. You can use a planter box and fill it with the rocks and sand. When making a miniature tin box, you can get as creative as you want. For this simple project, all you need to do is make some terrariums and hang them. To make some simple terrariums, you can use glass bulbs and small rocks. The glass containers should have an opening on one side. Some people like to fill the bottom of the containers with pebbles while others prefer to use potting soil. Like regular terrariums, hanging terrariums can give your home a powerful touch of green. These are four simple ways to make any home feel greener. The rapid loss of trees and other aspects of nature are causing homeowners to seek out their own sources of indoor nature. These projects require minimal time, effort and money.